3700601 MINI CX-2WD JCB MINI CX-2WD Mini backhoe loader. Spare Parts Catalog. Service (workshop) Manual. Operator's Instruction Manual. 3700602 MINI CX-4WD JCB MINI CX-4WD Mini backhoe loader. Spare Parts Catalog. Service (workshop) Manual. Operator's Instruction Manual. 3700611 3 JCB 3 Backhoe loader. Spare Parts Catalog. Service (workshop) Manual. Operator's Instruction Manual. 3700612 208S JCB 208S Backhoe loader. Spare Parts Catalog. Service (workshop) Manual. Operator's Instruction Manual. 3700613 210S JCB 210S Backhoe loader. Spare Parts Catalog. Service (workshop) Manual. Operator's Instruction Manual. 3700614 210SL JCB 210SL Backhoe loader. Spare Parts Catalog. Service (workshop) Manual. Operator's Instruction Manual. 3700615 210SU JCB 210SU Backhoe loader. Spare Parts Catalog. Service (workshop) Manual. Operator's Instruction Manual. 3700616 210 JCB 210 Backhoe loader. Spare Parts Catalog. Service (workshop) Manual. Operator's Instruction Manual. 3700617 212S JCB 212S Backhoe loader. Spare Parts Catalog. Service (workshop) Manual. Operator's Instruction Manual. 3700618 212SL JCB 212SL Backhoe loader. Spare Parts Catalog. Service (workshop) Manual. Operator's Instruction Manual. 3700619 212SU JCB 212SU Backhoe loader. Spare Parts Catalog. Service (workshop) Manual. Operator's Instruction Manual. 3700620 212 JCB 212 Backhoe loader. Spare Parts Catalog. Service (workshop) Manual. Operator's Instruction Manual. 3700621 214 JCB 214 Backhoe loader. Spare Parts Catalog. Service (workshop) Manual. Operator's Instruction Manual. 3700622 214-2 JCB 214-2 Backhoe loader. Spare Parts Catalog. Service (workshop) Manual. Operator's Instruction Manual. 3700623 214-2 MANUAL JCB 214-2 MANUAL Backhoe loader. Spare Parts Catalog. Service (workshop) Manual. Operator's Instruction Manual. 3700624 214-4 JCB 214-4 Backhoe loader. Spare Parts Catalog. Service (workshop) Manual. Operator's Instruction Manual. 3700625 214-4 MANUAL JCB 214-4 MANUAL Backhoe loader. Spare Parts Catalog. Service (workshop) Manual. Operator's Instruction Manual. 3700626 214-4 P/S JCB 214-4 P/S Backhoe loader. Spare Parts Catalog. Service (workshop) Manual. Operator's Instruction Manual. 3700627 214-4T JCB 214-4T Backhoe loader. Spare Parts Catalog. Service (workshop) Manual. Operator's Instruction Manual. 3700628 214E JCB 214E Backhoe loader. Spare Parts Catalog. Service (workshop) Manual. Operator's Instruction Manual. 3700629 214E-LE JCB 214E-LE Backhoe loader. Spare Parts Catalog. Service (workshop) Manual. Operator's Instruction Manual. 3700630 214E-LL JCB 214E-LL Backhoe loader. Spare Parts Catalog. Service (workshop) Manual. Operator's Instruction Manual. 3700631 214E-Turbo JCB 214E-Turbo Backhoe loader. Spare Parts Catalog. Service (workshop) Manual. Operator's Instruction Manual. 3700632 214-PC JCB 214-PC Backhoe loader. Spare Parts Catalog. Service (workshop) Manual. Operator's Instruction Manual. 3700633 214S JCB 214S Backhoe loader. Spare Parts Catalog. Service (workshop) Manual. Operator's Instruction Manual. 3700634 214S TOOLCARRIE JCB 214S TOOLCARRIE Backhoe loader. Spare Parts Catalog. Service (workshop) Manual. Operator's Instruction Manual. 3700635 214SE JCB 214SE Backhoe loader. Spare Parts Catalog. Service (workshop) Manual. Operator's Instruction Manual. 3700636 214SM-4 JCB 214SM-4 Backhoe loader. Spare Parts Catalog. Service (workshop) Manual. Operator's Instruction Manual. 3700637 214S-PC JCB 214S-PC Backhoe loader. Spare Parts Catalog. Service (workshop) Manual. Operator's Instruction Manual. 3700638 214S-SM JCB 214S-SM Backhoe loader. Spare Parts Catalog. Service (workshop) Manual. Operator's Instruction Manual. 3700639 215 JCB 215 Backhoe loader. Spare Parts Catalog. Service (workshop) Manual. Operator's Instruction Manual. 3700640 215-2 JCB 215-2 Backhoe loader. Spare Parts Catalog. Service (workshop) Manual. Operator's Instruction Manual. 3700641 215-4 JCB 215-4 Backhoe loader. Spare Parts Catalog. Service (workshop) Manual. Operator's Instruction Manual. 3700642 215E JCB 215E Backhoe loader. Spare Parts Catalog. Service (workshop) Manual. Operator's Instruction Manual. 3700643 215-PC JCB 215-PC Backhoe loader. Spare Parts Catalog. Service (workshop) Manual. Operator's Instruction Manual. 3700644 215S JCB 215S Backhoe loader. Spare Parts Catalog. Service (workshop) Manual. Operator's Instruction Manual. 3700645 215S TOOLCARRIE JCB 215S TOOLCARRIE Backhoe loader. Spare Parts Catalog. Service (workshop) Manual. Operator's Instruction Manual. 3700646 215SM-4 JCB 215SM-4 Backhoe loader. Spare Parts Catalog. Service (workshop) Manual. Operator's Instruction Manual. 3700647 215S-PC JCB 215S-PC Backhoe loader. Spare Parts Catalog. Service (workshop) Manual. Operator's Instruction Manual. 3700648 216-2 JCB 216-2 Backhoe loader. Spare Parts Catalog. Service (workshop) Manual. Operator's Instruction Manual. 3700649 216-4 JCB 216-4 Backhoe loader. Spare Parts Catalog. Service (workshop) Manual. Operator's Instruction Manual. 3700650 217 JCB 217 Backhoe loader. Spare Parts Catalog. Service (workshop) Manual. Operator's Instruction Manual. 3700651 217-2 JCB 217-2 Backhoe loader. Spare Parts Catalog. Service (workshop) Manual. Operator's Instruction Manual. 3700652 217-4 JCB 217-4 Backhoe loader. Spare Parts Catalog. Service (workshop) Manual. Operator's Instruction Manual. 3700653 217-PC JCB 217-PC Backhoe loader. Spare Parts Catalog. Service (workshop) Manual. Operator's Instruction Manual. 3700654 217S JCB 217S Backhoe loader. Spare Parts Catalog. Service (workshop) Manual. Operator's Instruction Manual. 3700655 217S TOOLCARRIE JCB 217S TOOLCARRIE Backhoe loader. Spare Parts Catalog. Service (workshop) Manual. Operator's Instruction Manual. 3700656 217S-PC JCB 217S-PC Backhoe loader. Spare Parts Catalog. Service (workshop) Manual. Operator's Instruction Manual. 3700657 700 JCB 700 Backhoe loader. Spare Parts Catalog. Service (workshop) Manual. Operator's Instruction Manual. 3700658 1CX JCB 1CX Backhoe loader. Spare Parts Catalog. Service (workshop) Manual. Operator's Instruction Manual. 3700659 208S JCB 208S Backhoe loader. Spare Parts Catalog. Service (workshop) Manual. Operator's Instruction Manual. 3700660 214e JCB 214e Backhoe loader. Spare Parts Catalog. Service (workshop) Manual. Operator's Instruction Manual. 3700661 2CX JCB 2CX Backhoe loader. Spare Parts Catalog. Service (workshop) Manual. Operator's Instruction Manual. 3700662 2CX AIRMASTER JCB 2CX AIRMASTER Backhoe loader. Spare Parts Catalog. Service (workshop) Manual. Operator's Instruction Manual. 3700663 2CX AM JCB 2CX AM Backhoe loader. Spare Parts Catalog. Service (workshop) Manual. Operator's Instruction Manual. 3700664 2CX FM JCB 2CX FM Backhoe loader. Spare Parts Catalog. Service (workshop) Manual. Operator's Instruction Manual. 3700665 2CX L JCB 2CX L Backhoe loader. Spare Parts Catalog. Service (workshop) Manual. Operator's Instruction Manual. 3700666 2CX LE JCB 2CX LE Backhoe loader. Spare Parts Catalog. Service (workshop) Manual. Operator's Instruction Manual. 3700667 2CX S JCB 2CX S Backhoe loader. Spare Parts Catalog. Service (workshop) Manual. Operator's Instruction Manual. 3700668 2CX U JCB 2CX U Backhoe loader. Spare Parts Catalog. Service (workshop) Manual. Operator's Instruction Manual. 3700669 2CX-10 JCB 2CX-10 Backhoe loader. Spare Parts Catalog. Service (workshop) Manual. Operator's Instruction Manual. 3700670 2CX-12 JCB 2CX-12 Backhoe loader. Spare Parts Catalog. Service (workshop) Manual. Operator's Instruction Manual. 3700671 2D JCB 2D Backhoe loader. Spare Parts Catalog. Service (workshop) Manual. Operator's Instruction Manual. 3700672 2DS JCB 2DS Backhoe loader. Spare Parts Catalog. Service (workshop) Manual. Operator's Instruction Manual. 3700673 2DX JCB 2DX Backhoe loader. Spare Parts Catalog. Service (workshop) Manual. Operator's Instruction Manual. 3700674 2DX LE JCB 2DX LE Backhoe loader. Spare Parts Catalog. Service (workshop) Manual. Operator's Instruction Manual. 3700675 3C JCB 3C Backhoe loader. Spare Parts Catalog. Service (workshop) Manual. Operator's Instruction Manual. 3700676 3C 14 JCB 3C 14 Backhoe loader. Spare Parts Catalog. Service (workshop) Manual. Operator's Instruction Manual. 3700677 3C 1400 JCB 3C 1400 Backhoe loader. Spare Parts Catalog. Service (workshop) Manual. Operator's Instruction Manual. 3700678 3C 14-T2 JCB 3C 14-T2 Backhoe loader. Spare Parts Catalog. Service (workshop) Manual. Operator's Instruction Manual. 3700679 3C 1550 JCB 3C 1550 Backhoe loader. Spare Parts Catalog. Service (workshop) Manual. Operator's Instruction Manual. 3700680 3C MK3 JCB 3C MK3 Backhoe loader. Spare Parts Catalog. Service (workshop) Manual. Operator's Instruction Manual. 3700681 3C PLUS JCB 3C PLUS Backhoe loader. Spare Parts Catalog. Service (workshop) Manual. Operator's Instruction Manual. 3700682 3C-2 JCB 3C-2 Backhoe loader. Spare Parts Catalog. Service (workshop) Manual. Operator's Instruction Manual. 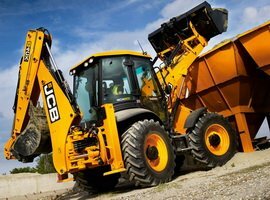 3700683 3C-LL JCB 3C-LL Backhoe loader. Spare Parts Catalog. Service (workshop) Manual. Operator's Instruction Manual. 3700684 3CN-4 JCB 3CN-4 Backhoe loader. Spare Parts Catalog. Service (workshop) Manual. Operator's Instruction Manual. 3700685 3CS JCB 3CS Backhoe loader. Spare Parts Catalog. Service (workshop) Manual. Operator's Instruction Manual. 3700686 3CX 14 JCB 3CX 14 Backhoe loader. Spare Parts Catalog. Service (workshop) Manual. Operator's Instruction Manual. 3700687 3CX 15 JCB 3CX 15 Backhoe loader. Spare Parts Catalog. Service (workshop) Manual. Operator's Instruction Manual. 3700688 3CX 17 JCB 3CX 17 Backhoe loader. Spare Parts Catalog. Service (workshop) Manual. Operator's Instruction Manual. 3700689 3CX 20 JCB 3CX 20 Backhoe loader. Spare Parts Catalog. Service (workshop) Manual. Operator's Instruction Manual. 3700690 3CX 30 JCB 3CX 30 Backhoe loader. Spare Parts Catalog. Service (workshop) Manual. Operator's Instruction Manual. 3700691 3CX 35 JCB 3CX 35 Backhoe loader. Spare Parts Catalog. Service (workshop) Manual. Operator's Instruction Manual. 3700692 3CX CONTRACTOR JCB 3CX CONTRACTOR Backhoe loader. Spare Parts Catalog. Service (workshop) Manual. Operator's Instruction Manual. 3700693 3CX MANUAL JCB 3CX MANUAL Backhoe loader. Spare Parts Catalog. Service (workshop) Manual. Operator's Instruction Manual. 3700694 3CX P/S JCB 3CX P/S Backhoe loader. Spare Parts Catalog. Service (workshop) Manual. Operator's Instruction Manual. 3700695 3CX PC JCB 3CX PC Backhoe loader. Spare Parts Catalog. Service (workshop) Manual. Operator's Instruction Manual. 3700696 3CX S JCB 3CX S Backhoe loader. Spare Parts Catalog. Service (workshop) Manual. Operator's Instruction Manual. 3700697 3CX SM JCB 3CX SM Backhoe loader. Spare Parts Catalog. Service (workshop) Manual. Operator's Instruction Manual. 3700698 3CX SM 4TPC JCB 3CX SM 4TPC Backhoe loader. Spare Parts Catalog. Service (workshop) Manual. Operator's Instruction Manual. 3700699 3CX SM MANUAL JCB 3CX SM MANUAL Backhoe loader. Spare Parts Catalog. Service (workshop) Manual. Operator's Instruction Manual. 3700700 3CX SM P/S JCB 3CX SM P/S Backhoe loader. Spare Parts Catalog. Service (workshop) Manual. Operator's Instruction Manual. 3700701 3CX SM PC JCB 3CX SM PC Backhoe loader. Spare Parts Catalog. Service (workshop) Manual. Operator's Instruction Manual. 3700702 3CX SM-4 JCB 3CX SM-4 Backhoe loader. Spare Parts Catalog. Service (workshop) Manual. Operator's Instruction Manual. 3700703 3CX SM444 SUPER JCB 3CX SM444 SUPER Backhoe loader. Spare Parts Catalog. Service (workshop) Manual. Operator's Instruction Manual. 3700704 3CX SM444S PC JCB 3CX SM444S PC Backhoe loader. Spare Parts Catalog. Service (workshop) Manual. Operator's Instruction Manual. 3700705 3CX SM-4T JCB 3CX SM-4T Backhoe loader. Spare Parts Catalog. Service (workshop) Manual. Operator's Instruction Manual. 3700706 3CX SM-4T PC JCB 3CX SM-4T PC Backhoe loader. Spare Parts Catalog. Service (workshop) Manual. Operator's Instruction Manual. 3700707 3CX SMT JCB 3CX SMT Backhoe loader. Spare Parts Catalog. Service (workshop) Manual. Operator's Instruction Manual. 3700708 3CX S-PC JCB 3CX S-PC Backhoe loader. Spare Parts Catalog. Service (workshop) Manual. Operator's Instruction Manual. 3700709 3CX SUPER JCB 3CX SUPER Backhoe loader. Spare Parts Catalog. Service (workshop) Manual. Operator's Instruction Manual. 3700710 3CX T JCB 3CX T Backhoe loader. Spare Parts Catalog. Service (workshop) Manual. Operator's Instruction Manual. 3700711 3CX-2 JCB 3CX-2 Backhoe loader. Spare Parts Catalog. Service (workshop) Manual. Operator's Instruction Manual. 3700712 3CX-4 JCB 3CX-4 Backhoe loader. Spare Parts Catalog. Service (workshop) Manual. Operator's Instruction Manual. 3700713 3CX444 JCB 3CX444 Backhoe loader. Spare Parts Catalog. Service (workshop) Manual. Operator's Instruction Manual. 3700714 3CX444 SUPER JCB 3CX444 SUPER Backhoe loader. Spare Parts Catalog. Service (workshop) Manual. Operator's Instruction Manual. 3700715 3CX444S PC JCB 3CX444S PC Backhoe loader. Spare Parts Catalog. Service (workshop) Manual. Operator's Instruction Manual. 3700716 3CX-4T JCB 3CX-4T Backhoe loader. Spare Parts Catalog. Service (workshop) Manual. Operator's Instruction Manual. 3700717 3CX-4T PC JCB 3CX-4T PC Backhoe loader. Spare Parts Catalog. Service (workshop) Manual. Operator's Instruction Manual. 3700718 3CX-4WS PC JCB 3CX-4WS PC Backhoe loader. Spare Parts Catalog. Service (workshop) Manual. Operator's Instruction Manual. 3700719 3CXC PC JCB 3CXC PC Backhoe loader. Spare Parts Catalog. Service (workshop) Manual. Operator's Instruction Manual. 3700720 3CXC-4T PC JCB 3CXC-4T PC Backhoe loader. Spare Parts Catalog. Service (workshop) Manual. Operator's Instruction Manual. 3700721 3CXE JCB 3CXE Backhoe loader. Spare Parts Catalog. Service (workshop) Manual. Operator's Instruction Manual. 3700722 3CX-EXPORT JCB 3CX-EXPORT Backhoe loader. Spare Parts Catalog. Service (workshop) Manual. Operator's Instruction Manual. 3700723 3CXHM JCB 3CXHM Backhoe loader. Spare Parts Catalog. Service (workshop) Manual. Operator's Instruction Manual. 3700724 3D JCB 3D Backhoe loader. Spare Parts Catalog. Service (workshop) Manual. Operator's Instruction Manual. 3700725 3D 1700 JCB 3D 1700 Backhoe loader. Spare Parts Catalog. Service (workshop) Manual. Operator's Instruction Manual. 3700726 3D MK3 JCB 3D MK3 Backhoe loader. Spare Parts Catalog. Service (workshop) Manual. Operator's Instruction Manual. 3700727 3D-2 JCB 3D-2 Backhoe loader. Spare Parts Catalog. Service (workshop) Manual. Operator's Instruction Manual. 3700728 3D-4 JCB 3D-4 Backhoe loader. Spare Parts Catalog. Service (workshop) Manual. Operator's Instruction Manual. 3700729 3DS-2 JCB 3DS-2 Backhoe loader. Spare Parts Catalog. Service (workshop) Manual. Operator's Instruction Manual. 3700730 3DS-4 JCB 3DS-4 Backhoe loader. Spare Parts Catalog. Service (workshop) Manual. Operator's Instruction Manual. 3700731 3DX JCB 3DX Backhoe loader. Spare Parts Catalog. Service (workshop) Manual. Operator's Instruction Manual. 3700732 3DX HM JCB 3DX HM Backhoe loader. Spare Parts Catalog. Service (workshop) Manual. Operator's Instruction Manual. 3700733 3DX SUPER JCB 3DX SUPER Backhoe loader. Spare Parts Catalog. Service (workshop) Manual. Operator's Instruction Manual. 3700734 3DX XTRA JCB 3DX XTRA Backhoe loader. Spare Parts Catalog. Service (workshop) Manual. Operator's Instruction Manual. 3700735 3DXL JCB 3DXL Backhoe loader. Spare Parts Catalog. Service (workshop) Manual. Operator's Instruction Manual. 3700736 4C JCB 4C Backhoe loader. Spare Parts Catalog. Service (workshop) Manual. Operator's Instruction Manual. 3700737 4C 444 JCB 4C 444 Backhoe loader. Spare Parts Catalog. Service (workshop) Manual. Operator's Instruction Manual. 3700738 4C PC JCB 4C PC Backhoe loader. Spare Parts Catalog. Service (workshop) Manual. Operator's Instruction Manual. 3700739 4C SUPER JCB 4C SUPER Backhoe loader. Spare Parts Catalog. Service (workshop) Manual. Operator's Instruction Manual. 3700740 4C Turbo JCB 4C Turbo Backhoe loader. Spare Parts Catalog. Service (workshop) Manual. Operator's Instruction Manual. 3700741 4C-2 Turbo JCB 4C-2 Turbo Backhoe loader. Spare Parts Catalog. Service (workshop) Manual. Operator's Instruction Manual. 3700742 4C-4 Turbo JCB 4C-4 Turbo Backhoe loader. Spare Parts Catalog. Service (workshop) Manual. Operator's Instruction Manual. 3700743 4CN JCB 4CN Backhoe loader. Spare Parts Catalog. Service (workshop) Manual. Operator's Instruction Manual. 3700744 4CN 444 JCB 4CN 444 Backhoe loader. Spare Parts Catalog. Service (workshop) Manual. Operator's Instruction Manual. 3700745 4CN 444 SUPER JCB 4CN 444 SUPER Backhoe loader. Spare Parts Catalog. Service (workshop) Manual. Operator's Instruction Manual. 3700746 4CN 4T PC JCB 4CN 4T PC Backhoe loader. Spare Parts Catalog. Service (workshop) Manual. Operator's Instruction Manual. 3700747 4CN 4WD JCB 4CN 4WD Backhoe loader. Spare Parts Catalog. Service (workshop) Manual. Operator's Instruction Manual. 3700748 4CN-2 JCB 4CN-2 Backhoe loader. Spare Parts Catalog. Service (workshop) Manual. Operator's Instruction Manual. 3700749 4CN-4 JCB 4CN-4 Backhoe loader. Spare Parts Catalog. Service (workshop) Manual. Operator's Instruction Manual. 3700750 4CS PC JCB 4CS PC Backhoe loader. Spare Parts Catalog. Service (workshop) Manual. Operator's Instruction Manual. 3700751 4CX JCB 4CX Backhoe loader. Spare Parts Catalog. Service (workshop) Manual. Operator's Instruction Manual. 3700752 4CX 14 JCB 4CX 14 Backhoe loader. Spare Parts Catalog. Service (workshop) Manual. Operator's Instruction Manual. 3700753 4CX 15 JCB 4CX 15 Backhoe loader. Spare Parts Catalog. Service (workshop) Manual. Operator's Instruction Manual. 3700754 4CX 17 JCB 4CX 17 Backhoe loader. Spare Parts Catalog. Service (workshop) Manual. Operator's Instruction Manual. 3700755 4CX 444 JCB 4CX 444 Backhoe loader. Spare Parts Catalog. Service (workshop) Manual. Operator's Instruction Manual. 3700756 4CX 444 PC JCB 4CX 444 PC Backhoe loader. Spare Parts Catalog. Service (workshop) Manual. Operator's Instruction Manual. 3700757 4CX 444 SUPER JCB 4CX 444 SUPER Backhoe loader. Spare Parts Catalog. Service (workshop) Manual. Operator's Instruction Manual. 3700758 4CX 4WS PC JCB 4CX 4WS PC Backhoe loader. Spare Parts Catalog. Service (workshop) Manual. Operator's Instruction Manual. 3700759 4CX SM444 JCB 4CX SM444 Backhoe loader. Spare Parts Catalog. Service (workshop) Manual. Operator's Instruction Manual. 3700760 4CX SM444 PC JCB 4CX SM444 PC Backhoe loader. Spare Parts Catalog. Service (workshop) Manual. Operator's Instruction Manual. 3700761 4CX SM444 SUPER JCB 4CX SM444 SUPER Backhoe loader. Spare Parts Catalog. Service (workshop) Manual. Operator's Instruction Manual. 3700762 4DX JCB 4DX Backhoe loader. Spare Parts Catalog. Service (workshop) Manual. Operator's Instruction Manual. 3700763 MIDI CX JCB MIDI CX Backhoe loader. Spare Parts Catalog. Service (workshop) Manual. Operator's Instruction Manual. 3700764 1400B JCB 1400B Backhoe loader. Spare Parts Catalog. Service (workshop) Manual. Operator's Instruction Manual. 3700765 1550B JCB 1550B Backhoe loader. Spare Parts Catalog. Service (workshop) Manual. Operator's Instruction Manual. 3700766 1600B JCB 1600B Backhoe loader. Spare Parts Catalog. Service (workshop) Manual. Operator's Instruction Manual. 3700767 1700B JCB 1700B Backhoe loader. Spare Parts Catalog. Service (workshop) Manual. Operator's Instruction Manual. 3700768 1700 JCB 1700 Backhoe loader. Spare Parts Catalog. Service (workshop) Manual. Operator's Instruction Manual.